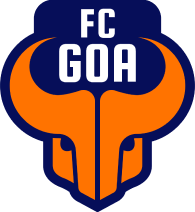 FC Goa is an Indian professional football franchise based in Goa that competes in the Indian Super League. The club was launched on 26th August 2014 and is owned by Goan Football Club Pvt. Ltd. which consists of Mr. Jaydev Mody, Mr. Rakesh Jhunjhunwala, Mr. Ashish Kapadia, Mr. Akshay Tandon and the national cricket team captain, Mr. Virat Kohli. FC Goa provides financial and technical support to run our grassroots football program. Special Olympics Bharat which is a National Sports Federation having over 14 lakh Special Athletes registered from all the States and Union Territories. SO Bharat is accredited by Special Olympics Inc, Washington, to conduct Special Olympics Programs all over India. Special Olympics, an international organization, organizes Olympic-type sports for persons with intellectual disabilities, unleashing the human spirit through the transformative power and joy of sports every day around the world. Founded in 1968 by Eunice Kennedy Shriver, the Special Olympics movement has grown from a few hundred athletes to 5.5 million athletes in 172 countries. Circle Wallas are a group of practitioners that use Art Of Hosting practices to hold space, listen deeply, ask powerful questions and engage in conversations that matter. They believe that many of the issues in the world could be ameliorated once we all speak with intention and listen with attention. From career spent in building community, partnerships and resilient systems, they have arrived at the realisation that there is a desperate need in the world for a new way of being together. Circle Walla’s help us to engage with our community through their expertise and help us build capacity within our Youth Ambassadors.